Terry cloth is a nice, soft fabric often used to make towels and robes. 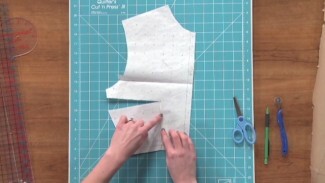 While some may find this fabric tricky to work with, Jessica Giardino shows you how easy it can be and shares some helpful tips along the way. 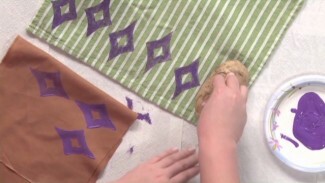 Then she shows you how to use the fabric and make a fun spa wrap. Before beginning a project with terry cloth it is important to know that there are different kinds of terry fabrics. Jessica shows both a towel terry and a French terry and explains some of the main differences between the two. These include the fact that one of them is a woven fabric while one is a knit, meaning that one can have a small amount of stretch to it. She also explains how the terry fabrics are constructed and why some terry fabrics have loops on the right side and why some do not. Having loops on a terry fabric is very helpful if making a towel or other bath accessory as the longer the loops the more absorbent the fabric is. Working with and sewing terry fabrics doesn’t have to be difficult. Jessica shares several tips and tools to use when making a sewing project from either French or towel terry. A lint roller can be helpful when cleaning up the lint that is created from cutting the cloth and fabric clips rather than pins can help when trying to hold together several layers. She also recommends using a heavier weight needle when sewing with terry fabric. 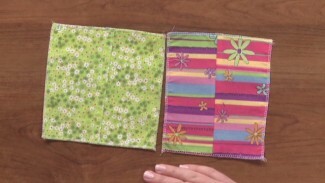 Jessica then shows you how to use terry fabric to make a fun and stylish spa wrap. The wrap features a cute towel terry pocket and ribbon straps. The wrap shown in the tutorial is a smaller size meant for a child however it can easily be made in a larger adult size as well.